The inspiration - the mile-eaters of the sports class. For nearly a decade, the MENTOR has been the benchmark in LTF/EN B cross-country wings and it wins everything that can be won. With the new SECTOR we have taken the same approach - but in the sports class (EN C). 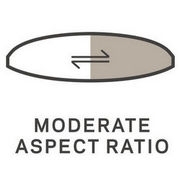 The low aspect-ratio (5.92) is the basis for a high level of passive safety and confidence-inspiring flying characteristics. Coupled with a precise handling, the SECTOR offers an impressively high level of totally usable performance. Performance comparison. Years ago we stopped detailing absolute performance figures. Instead, we make comparisons with well-established models. Comparative flights with the MENTOR 5 showed 0.7 to 0.8 better glide points - with a very flat polar curve and high top-speed. It also clearly tops the TRITON 2. The SECTOR need not be afraid of any comparison. Thermal flying - balanced and uncomplicated. Immediately after take off the pilot will feel a solid wing with a high comfort factor. And this happy feeling continues when initiating a turn. Short brake travel with very moderate pressure results in direct and precise responses to brake inputs. Whether the thermals are large and weak or small and strong, the SECTOR will climb in anything. It will master all turns and angles of bank. Its main strengths are balance and simplicity. 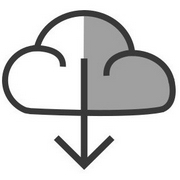 Totally usable performance – it's a confidence thing. 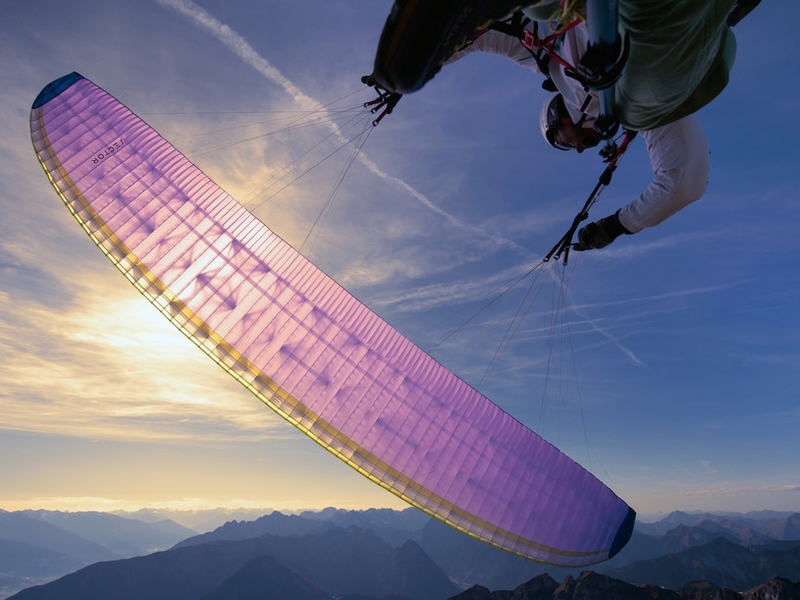 What is the use of having great performance in the morning, when there is no wind, if the wing is tossed about in turbulent air on a mega XC day? 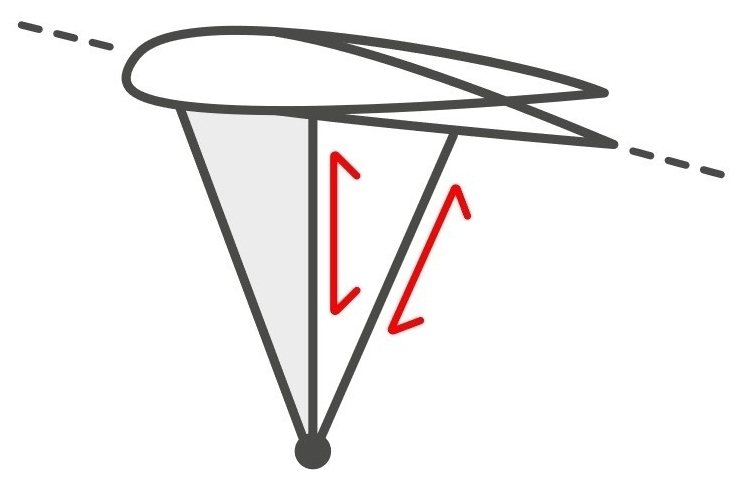 Pitch, roll, yaw or a continually deforming wing reduce the performance. The advantage of the SECTOR is the totally usable performance - like on the MENTOR. Even in strong thermals it stays solid. The SECTOR also inherited the MENTOR's stability at full-speed. The SECTOR gives cross-country pilots real confidence - a really important prerequisite for long-distance flights. In terms of the technical data, the SECTOR is nearly exactly positioned between the MENTOR 5 and the TRITON 2. The same applies to the pilot target group. Any pilot who has a handle on their MENTOR and wishes to have more performance and that "EN C feeling" in handling will love the SECTOR. In comparison to the TRITON 2, clearly the SECTOR requires less active flying - but this does not change the fact that this is a sports class wing. For queries about the suitability of the wing for you, your NOVA dealer will be happy to assist. 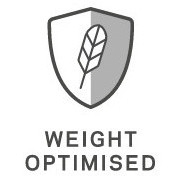 In size M (90–110 kg), the SECTOR only weighs 4.4 kg! This nearly puts it in the specialist lightweight wing market. We did not, however, make this a radical lightweight construction. The internal wing construction has been analysed and optimised for strength and then made lighter by using Triple Tape Diagonals. The risers are 'normal', but light and slim. 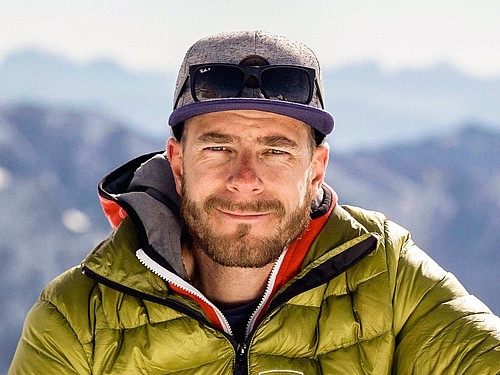 Our cloth choice is a clever compromise of durability and lightness. This means the SECTOR is absolutely usable for hike & fly and vol biv. 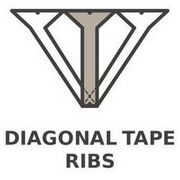 Diagonal Tape Ribs are lightweight and ensure a stable structure (as used on the PHANTOM). 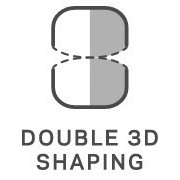 Although more complicated to manufacture, they ensure better form stability without adding weight. Automatic speed-bar stabilisation when accelerated: The outer A-line is re-routed over a pulley. This means that when using the speed-bar, the inner A-lines are fully accelerated and the outer A-lines are accelerated by 50%. The result is more wing stability and less tendency to yaw. 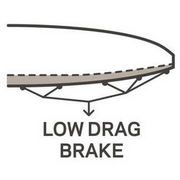 Low Drag Brake: The Low Drag Brake on the SECTOR looks unusual, but in the course of the wing's development we found it to be the optimal solution- both in terms of the number of line attachment points (fewer lines = more performance) and in terms of the brake pressure, sink rate when turning and steering characteristics. 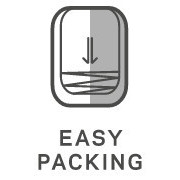 Easy Packing: Many current sports class wings have a complex construction with long rods and a multitude of reinforcements. 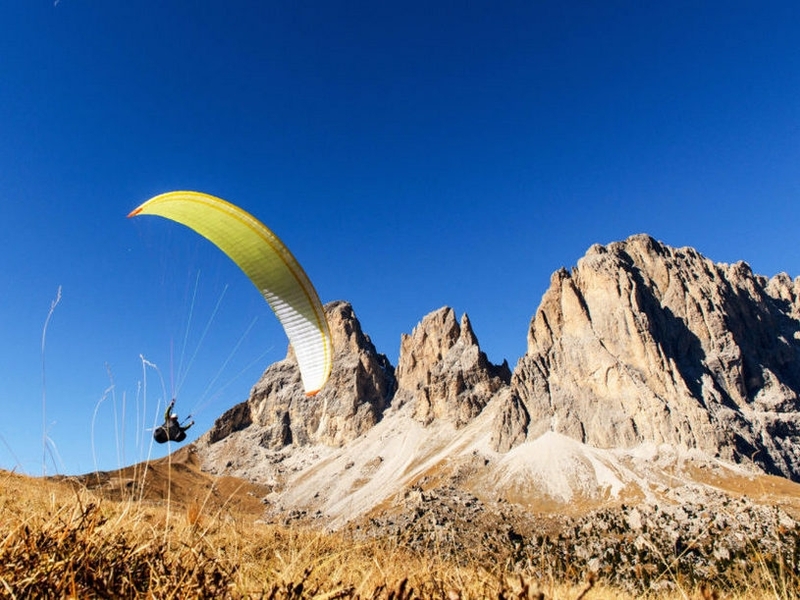 For the SECTOR we applied the NOVA motto: "Keep paragliding simple". Apart from the kink resistant nylon rods in the leading edge, we were able to avoid using any other reinforcements. The SECTOR doesn't require a concertina bag. Less stretch - more safety. 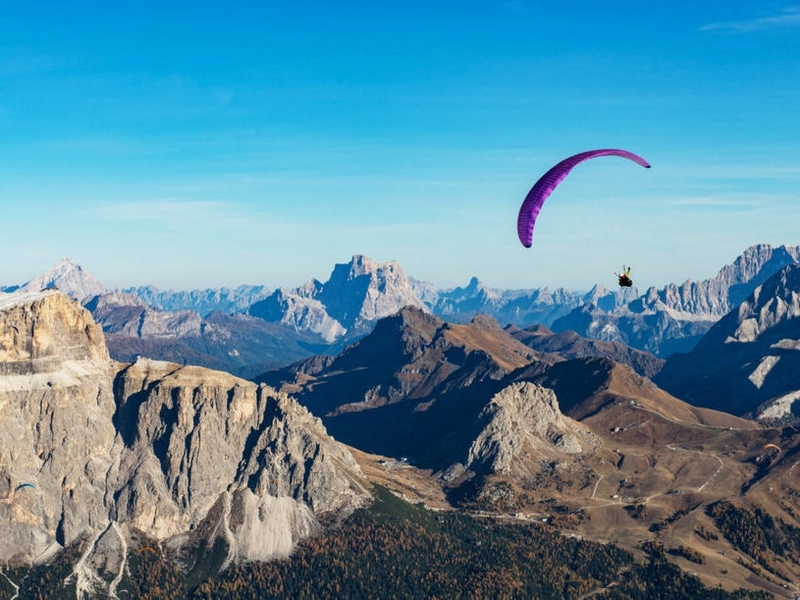 The aspect ratio of a paraglider is not the only factor in the passive safety of a wing, but it is a very significant one. That's why our paragliders are only stretched as necessary. As much as necessary, as little as possible, is our constructive credo. 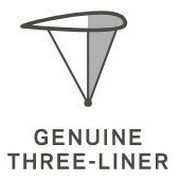 Higher profile fidelity, less weight. For diagonal tape ribs, instead of just one, usually triangular cut piece of fabric, several, specially cut fabric strips are sewn. Better handling, more power. 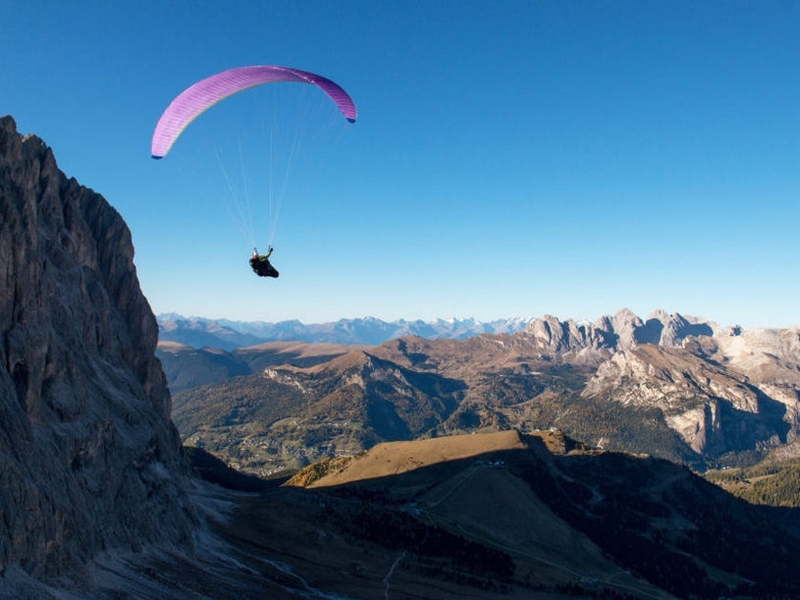 An as-straight-as-possible trailing edge on a paraglider pampers the eye of the beholder. However, during our test flights, we have found that with some models such a brake requires more control pressure, which tends to worsen the handling, adversely affect the aerodynamics and thus the performance as more line meters mean more air resistance. The Low Drag Brake consciously dispenses with the perfect look in favour of handling and performance. Standard colours: Lime; Orange; Purple; Red.